In my last article, I have shown you a basic example of intent. In this article, I will show you a more practical example of Intents. Scenario is that a list item itself contains more information in the form of a list. When the list item is selected, it should open another list. 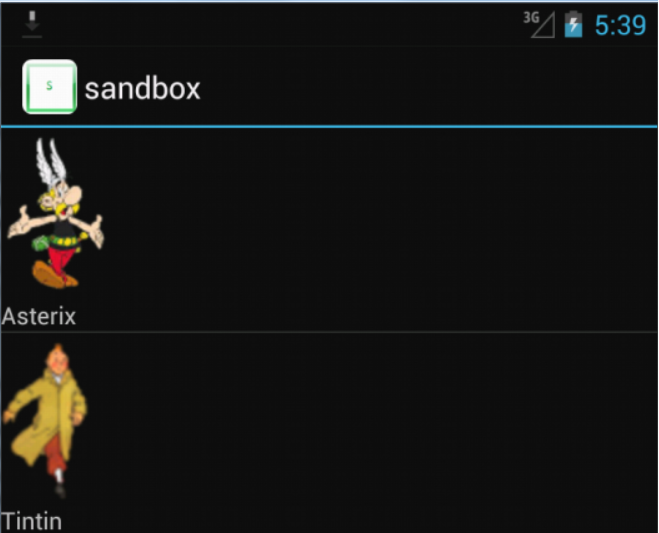 In the customized list example, I showed you a list with your favorite cartoon characters. Once you select a character, it should open another list with related characters. ListView layout will hold the main characters. List item layout contains just a text field. We will dynamically set the cartoon’s image using setCompoundDrawablesWithIntrinsicBounds. Our model contains Cartoon bean. It has reference to the image resource and the related cartoons object. In the getView, we set the cartoon image using setCompoundDrawablesWithIntrinsicBounds. CartoonListActivity represents the main list view. Let’s go through the steps followed in onCreate. Call setContentView to set the list view’s layout. Create CartoonListAdapter adapter and set it to the list view using setListAdapter. This contains the list of Cartoon objects to display. 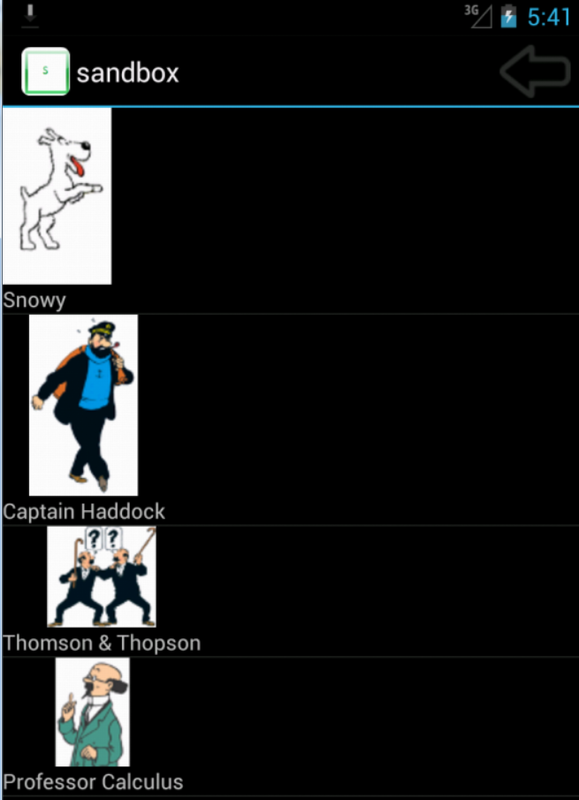 Set an item listener using listView.setOnItemClickListener to start the list activity that will display the related cartoons. In the item listener callback, OnItemClickListener.onItemClick, we explicitly pass in the related list activity class OtherCartoonsListActivity to Intent during its creation. 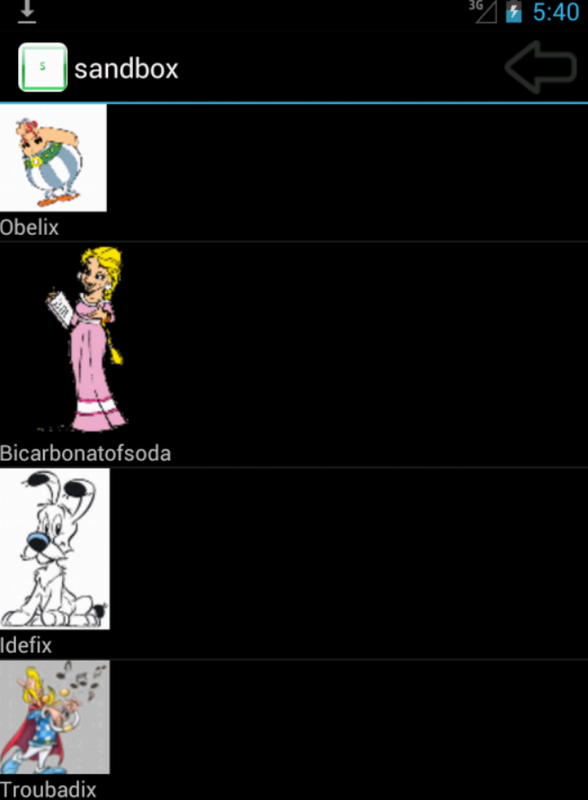 In the Intent object, we put in an extra value, to let the related list activity know which cartoon was selected. The extra value contains “cartoon” as key and name of the selected cartoon as the value. We call startActivity(intent) to start the related list activity. In OtherCartoonsListActivity, we get the Intent object passed in from the parent list activity and then get the extra value to know the cartoon selected. Once we know the cartoon selected, we will get its related cartoons, create the adapter and set it to the list view. To return back to the main list, you need to click on the back button from the action bar. Let’s launch the app and test it. In this article, I showed you how to use intent to display child lists.